Speaking last month at an event hosted by the Council on American-Islamic Relations' Los Angeles chapter, Omar mistakenly said the organization was founded in response to the terrorist attacks, adding "because they recognized that some people did something" — a phrasing that conservative media have interpreted as a too-flippant reference to the attack. It is unclear what Omar meant by the wording of her comment. The remark was scorned by some on the right, including "Fox and Friends" co-host Brian Kilmeade and Rep. Dan Crenshaw, R-Texas. Kilmeade questioned Omar's loyalty to the United States on a "Fox & Friends" segment about the freshman Democrat, saying "you have to wonder if she's an American first." Crenshaw called Omar's remark "unbelievable" on Twitter. 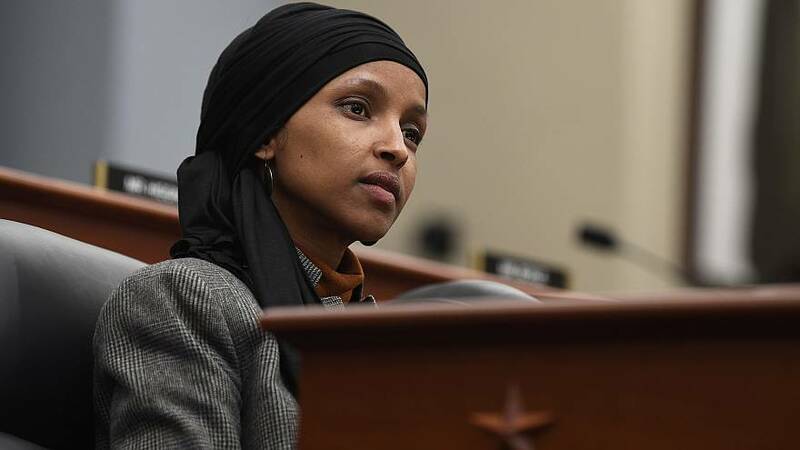 Omar, who has been subjected to death threats over her past controversial comments she has made about Israel, responded to Kilmeade on Twitter, saying he was guilty of a "dangerous incitement" for questioning her loyalty to America. Omar, along with Rep. Rashida Tlaib, D-Mich., are the first Muslim women to serve in Congress.